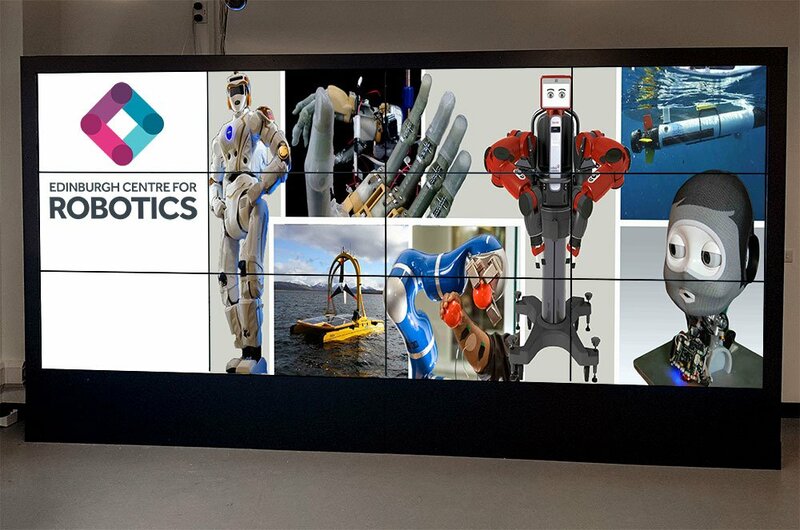 This incredible 4×3 interactive Video Wall was recently installed to Heriot Watt University by Promultis. The video wall has been designed and configured to offer the flexibility of using the wall with content from the server displaying across all screens or allowing external devices such as laptops to be plugged into the wall and be used as a presentation device. The Video Wall also allows the user to switch the audio from the server to the external device and back easily. Two external cameras are also connected to the system setup.